“The children are the future of our nation.” Perhaps, this cliche has been passed on from generation to generation. The Everliving Company Inc. or popularly known as Sanctuarium is a firm believer of this one powerful phrase. In photo: Erika Zamora at the center, accepts the generosity of Sanctuarium. 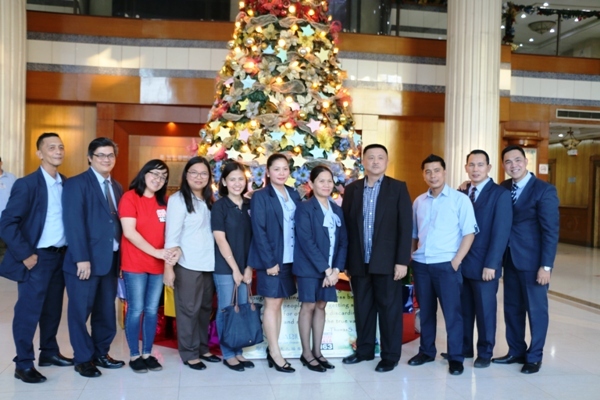 For nine years now, Sanctuarium remains to be the catalyst of children’s dream by supporting the Bantay Edukasyon project of ABS-CBN Lingkod Kapamilya’s Bantay Bata 163. 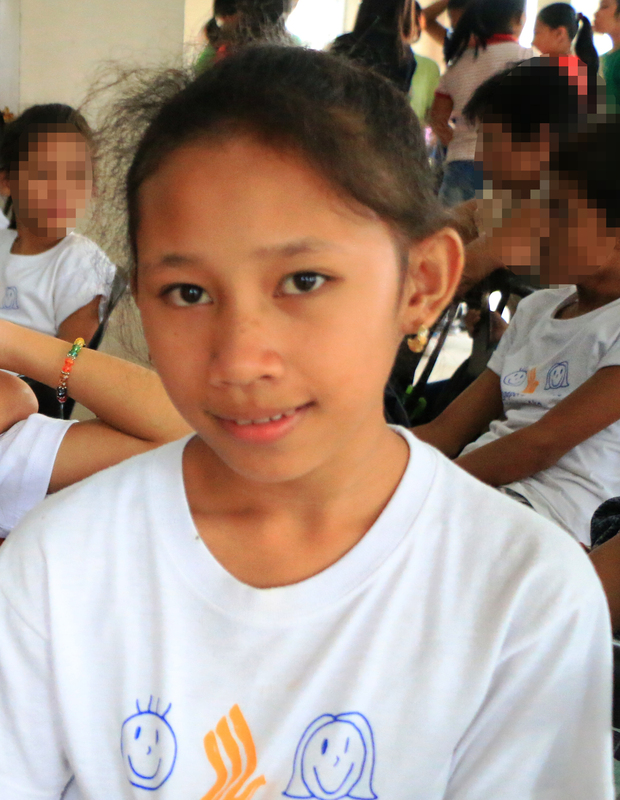 Erika Zamora, now at grade 11, is just one of the scholars since grade 7. She humbly said that she can never thank enough her sponsors for their kindness and generosity. Further, she vowed to finish her studies, make her parents and sponsors' proud and pay it forward. 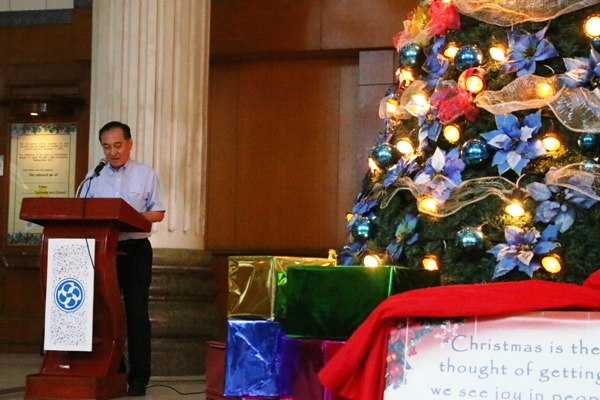 Likewise, Sanctuarium fundraise to support the scholarship project of Bantay Bata 163 by lighting their Christmas tree. Each bulb on the tree symbolizes the bright future of children which has a corresponding donation as their gift for children’s education. 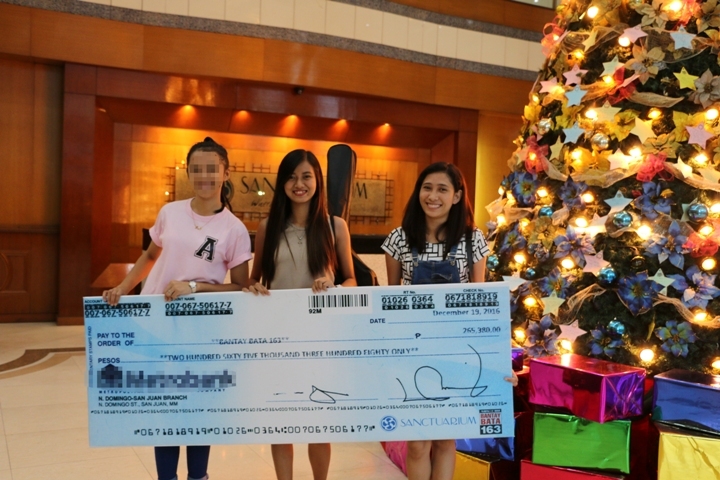 Sanctuarium turned over Two Hundred Sixty Five Thousand Three hundred eighty pesos (P265,380.00) to support Bantay Bata 163’s Bantay Edukasyon project.